We love easy meals that take just a few minutes of prep and then cook unattended like our favorite Baked Chicken Legs with Potatoes or these Oven Roasted Potatoes combined with sausages and carrots. Easy stuffed bell peppers are a family favorite that makes a delicious comforting dinner during the fall and winter months. 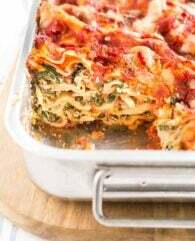 You can easily prep this dish in advance and leftovers are already perfectly portioned and reheat beautifully. 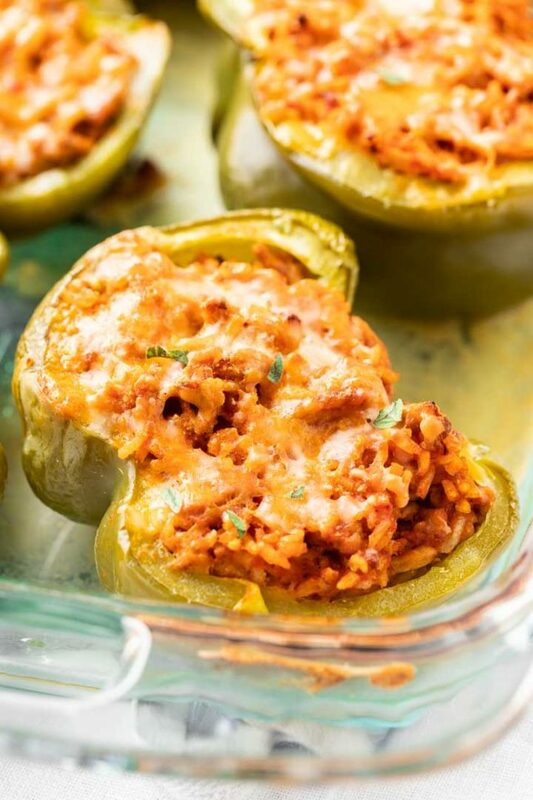 Ground Turkey Stuffed Peppers are my favorite but you can also use beef, ground chicken or make vegetarian stuffed peppers by adding veggies instead of meat to the recipe. This stuffed pepper recipe is super versatile! You can also make them without rice and use cooked couscous or quinoa instead. 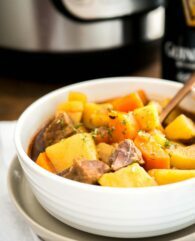 Perfect for using up leftovers! When making this recipe I prefer to cut the bell peppers in half, especially if the peppers are really big, that way they cook more evenly and are easier to fill. If you want to add in more veggies you can add 1 finely diced medium zucchini to the pan after the onion is soft. 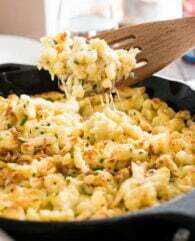 Pepper Jack or any other grated cheese works for this recipe. Freshly grated cheese tastes best in my opinion! Instead of instant rice, you can also use cooked rice. Leftover cold rice works best. How long to cook stuffed peppers depends on how tender you like the peppers to be. 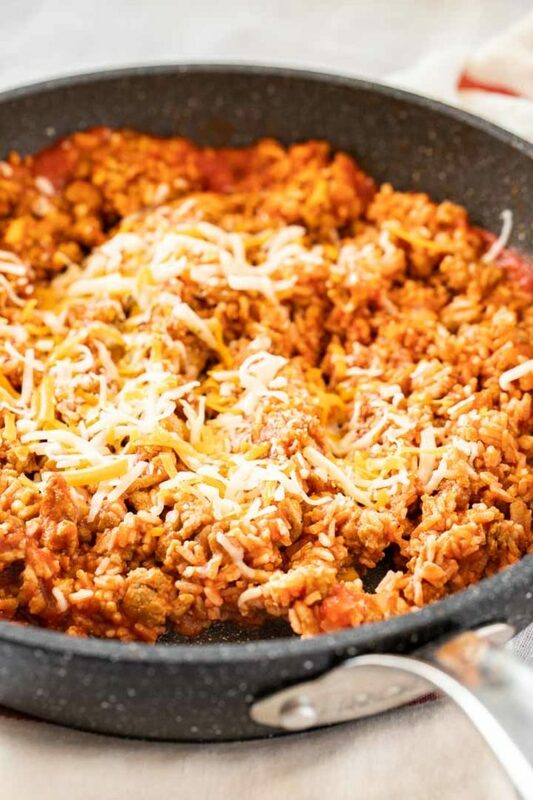 This recipe uses instant rice and cooked meat so you don’t need to make sure that the filling is cooked through. A cooking time of 50 minutes makes perfectly tender bell peppers with a little bit of bite to it. If you prefer them more tender cook them 5 minutes longer. A great side dish for stuffed peppers is a simple green salad or other vegetable salad. Stuffed Bell Peppers are cooked in a baking dish filled with some chicken broth (but tomato sauce works too!) covered tightly with foil to prevent them from getting dry during baking. The peppers are cooking in steam for the first 30 minutes to make them tender and juicy when the time is up the foil is removed so the cheese can get brown. 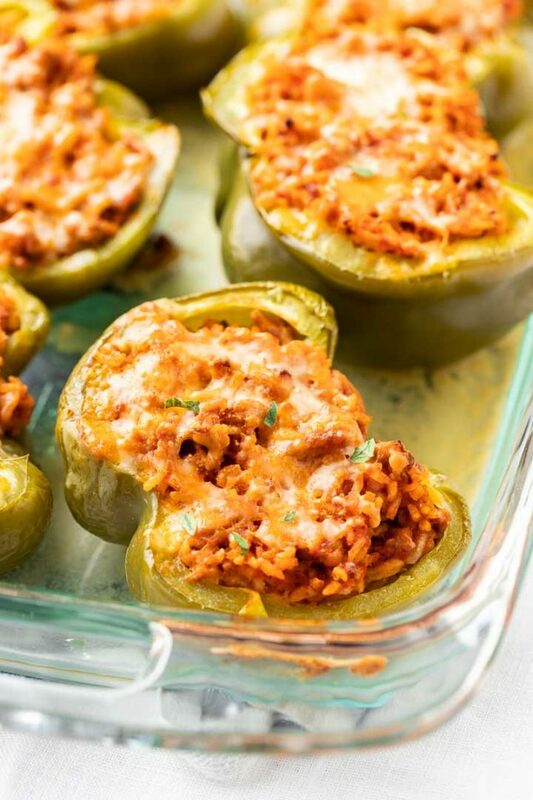 Want to try this Stuffed Peppers with Rice Recipe? 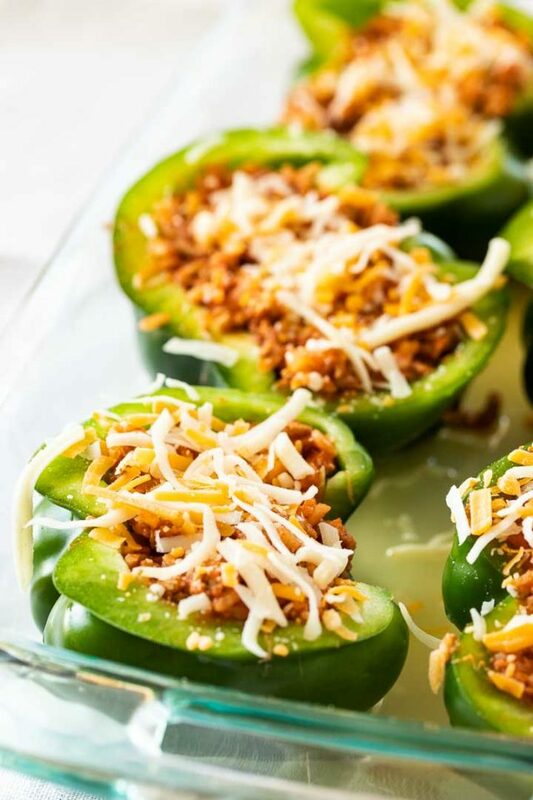 Stuffed Green Peppers are filled with ground turkey, rice, and tomato sauce, then topped with cheese and cooked in the oven. 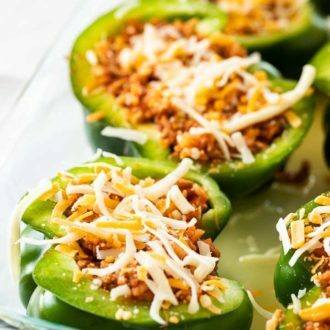 These ground turkey stuffed peppers make a healthy and delicious dinner that the whole family will love! Cut the peppers in half through the stem and remove the stem. Scoop out the seeds and membrane. Place the peppers cut-side up in a baking dish just large enough to hold them. Heat 2 tsp olive oil in a large skillet on medium-high heat. Add in the turkey, season it with salt and pepper, and cook, breaking it apart as it cooks, until cooked through and lightly browned, about 8 minutes. Remove it from the skillet. Wipe out the skillet, reduce the temperature to medium and add remaining olive oil. Add the chopped onions and cook until soft, about 3-4 minutes. Then add the garlic and cook for one more minute. Add the tomatoes and ½ cup of broth. Season with salt, pepper, Worcestershire sauce, and oregano. Cook until heated through, about 4 minutes, then stir in the cooked turkey and instant rice. Taste and adjust the seasoning. Stir in 1/2 cup of the cheese. Divide the filling between the pepper halves. Sprinkle peppers with the remaining cheese and pour the broth in the baking dish. Tightly cover the baking dish with aluminum foil. Bake for 30 minutes then uncover and bake for another 20 minutes until the peppers are soft and the cheese is browned.